The BBC has officially confirmed that the Doctor Who Christmas Special, in which the Eleventh Doctor Matt Smith will regenerate into Peter Capaldi, will be titled The Time of the Doctor. The title suggests that the special is part of a trilogy – the Season 7 finale, The Name of the Doctor, the 50th Anniversary Special The Day of the Doctor, and the Christmas Special, The Time of the Doctor. The Name, Day and Time of the Doctor – it all appears preordained! Whether Peter Capaldi is to be titled the Twelfth Doctor, or even the Fourteenth Doctor, remains to be seen. The riddle of the regeneration problem, something fans have talked about for decades, will be faced head on at Christmas. There is going to be another huge cliffhanger and somehow Peter Capaldi has to join and the series has to continue. The show’s big fans, known as Whovians, won’t believe their eyes at Christmas. The 12 regenerations limit is a central part of Doctor Who mythology – science fiction is all about rules, you can’t just casually break them. 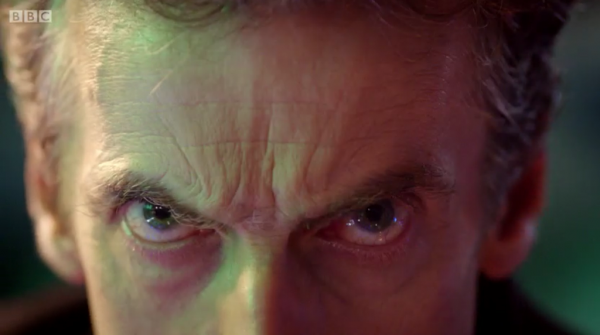 So if the Doctor can never change again, what’s Peter Capaldi doing in the Christmas special? In #TheTimeOfTheDoctor, Clara&The Doctor must go to a quiet backwater planet to learn what some strange signals mean for his last existence. I just finished seeing The Day of the Doctor on the big screen, do I’m still in Who Heaven. Now twice in one day upon hearing this! After ‘Night of…’ and ‘Day of…’, I’m almost surprised they didn’t go with ‘Dawn of the Doctor’. Perhaps they’re saving that for the next series opener. Hm. I’ve gotten the impression in the past from interviews and his work on the show that Moffat isn’t really concerned about the 12-regenerations rule. He’s certainly very cavalier about things making sense in a larger context both within individual episodes and across the span of the series. We’ve already gotten hints that this will be Smith’s final return to Trenzalore and I have a niggling suspicion that I will be underwhelmed by this in the same way that I was with the 50th special. Wow, you were underwhelmed by the Special? I can’t imagine, it was pure awesomeness all the way through! I love that Moffat is tackling the 12-regenerations issue head-on, even accelerating it, rather than sloughing it off. I can’t wait to see his solution to the conundrum! The plot synopsis (‘massed forces of the universe’s deadliest species gather’ / ‘…his own fate and that of the universe’) sounds an awful lot like the ‘Pandorica’ plotline to me, plus there was a disembodied Cyberman head in that one an’ all – are we going back for Christmas seconds? I hope we get to see the Drahvins this time!